Below you fill find all funeral homes and cemeteries in or near Ridgway. Suburbs of Ridgway: Portland Mills, Portland Mls. 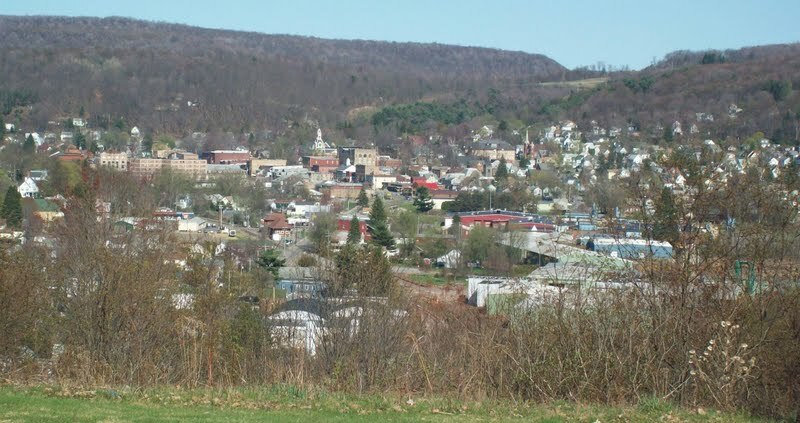 Ridgway is also known as: Elk County / Ridgway borough. Their current mayor is Mayor Kim Zimmerman. Zip codes in the city: 15853. Some of the notable people born here have been: Dan A. Surra (teacher), and Michael Hinman (actor and journalist). Ridgway is a borough in and the county seat of Elk County, Pennsylvania, United States. It was disclosed on February 17th, 2016 that Jane F Anderson (Fagerberg) perished in Ridgway, Pennsylvania. Ms. Anderson was 98 years old and was born in Evans, CO. Send flowers to share your condolences and honor Jane F's life. It was revealed by Journal News on October 28th, 2014 that Ruth Marlene Homsher (Juers) passed away in Middletown, Ohio. Ms. Homsher was 82 years old and was born in Ridgway, PA. Send flowers to share your condolences and honor Ruth Marlene's life. It was reported on September 4th, 2014 that Vincent J "Vince" Spinosa perished in Ridgway, Pennsylvania. Send flowers to express your sorrow and honor Vincent J "Vince"'s life. It was written by Columbus Dispatch on October 6th, 2013 that Franz J III Schwarzbach died in Columbus, Ohio. Schwarzbach was 49 years old and was born in Ridgway, PA. Send flowers to express your sympathy and honor Franz J III's life. It was noted by Tampa Tribune on May 29th, 2013 that Betty Blanche Claire Rhines (Myers) died in Dade City, Florida. Ms. Rhines was 92 years old and was born in Ridgway, PA. Send flowers to express your sorrow and honor Betty Blanche Claire's life. It was revealed by Johnstown Tribune-Democrat on May 9th, 2013 that Elizabeth Ann Seaman passed on in Ridgway, Pennsylvania. Seaman was 74 years old. Send flowers to express your sorrow and honor Elizabeth Ann's life. It was disclosed by The Bradford Era on July 8th, 2011 that Kenneth L Danekas died in Ridgway, Pennsylvania. Danekas was 33 years old. Send flowers to express your sympathy and honor Kenneth L's life. It was disclosed by The Bradford Era on July 8th, 2011 that E Tom Wolff passed on in Ridgway, Pennsylvania. Wolff was 65 years old. Send flowers to express your sorrow and honor E Tom's life. It was disclosed by The Bradford Era on July 4th, 2011 that Dorothy M Nelson died in Ridgway, Pennsylvania. Nelson was 93 years old. Send flowers to express your sorrow and honor Dorothy M's life. It was revealed by The Bradford Era on June 20th, 2011 that Jeannine Prindle perished in Ridgway, Pennsylvania. Send flowers to express your sympathy and honor Jeannine's life. Coal and natural gas abound in the district. Jacob Ridgway earned substantial wealth both in Philadelphia and abroad in London. . He constantly sent sums of money back to be invested in property. Ridgway is 119 miles (191 km) east by south of Erie, Pennsylvania on the Clarion River. The official website for the city of Ridgway is http://www.ridgwayrecord.com. Angela Kling of Cheyenne and Michael (Stacey) Packard, II of Ridgeway, Pa.; eight grandchildren ... Those who wish may contribute to the Dee Packard Memorial Fund in care of Schrader Funeral Home, 2323 Carey Ave., Cheyenne, WY 82001. Funerals in Ridgway, PA on Yahoo! Local Get Ratings & Reviews on Funerals with Photos, Maps, Driving Directions and more. Listing all funeral homes in Ridgway, Pennsylvania so you can easily send flowers to any location (same day delivery) or find any funeral service. Find a Funeral Home inRidgway, Pennsylvania PA to provide the caring burial and ceremonial services your family deserves. We work with local florists and flower shops to offer same day delivery. You will find budget sympathy flowers in Ridgway here. Our funeral flowers are cheap in price but not in value.